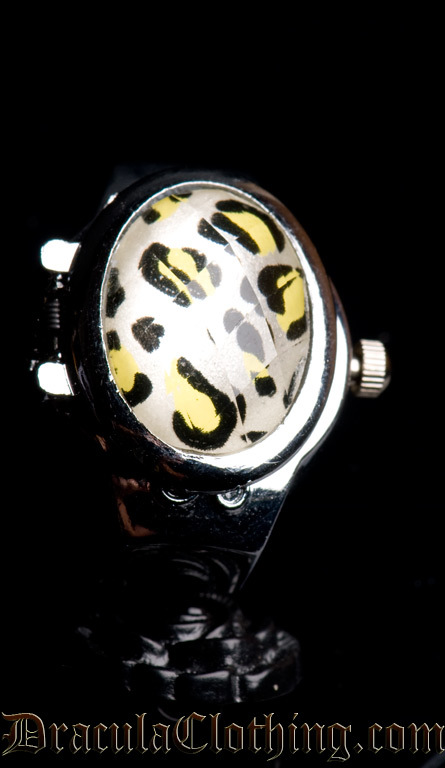 A leopard watch ring that opens up to see the watch. This ring is adjustable to fit several ring sizes. Please note that the battery doesn't work so we sell it for half price.